Everyone needs good friends. And every Christian needs good Christian friends. The Bible paints a rich picture of Christian friendship. It talks about the Church being a “fellowship” of brothers and sisters, where we speak the truth in love to one another, get honest about our sin, support one another through our struggles, and fight side-by-side to grow more godly. But if you’re anything like me, that’s not how most of your Christian friendships look in reality. 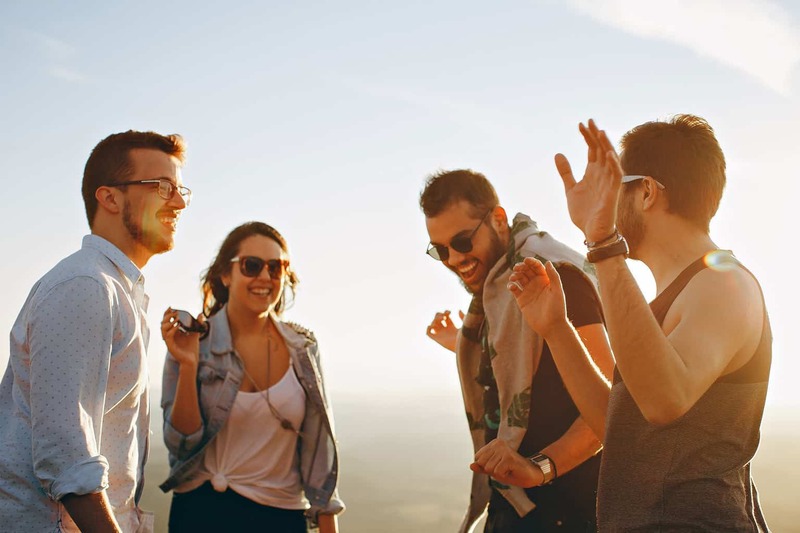 Here are six types of friend that every Christian has, and one that we all need to have and need to be. Listens to all your problems, and likes to dig around for all the details, but never divulges theirs. A friend like this makes you feel like you’re a special case and the only one with problems in their life. This friend is great at offloading their struggles onto you, but rarely, if ever, makes space for you to reciprocate. After a while, it makes you wonder if they’re really interested in the friendship at all. Got a problem? Well, they can give you at least three examples of a similar problem that they experienced, but theirs was waaaaaay more difficult/painful/traumatic. It looks like sympathy, and they think it’s helpful, but truly it’s not. AKA The Antinomian (for all your theology buffs). This friend tries to reassure you that “we all mess up” and “it’s really not that bad” whenever you fess up to something. They mean well, but by trivializing your sin they’re not actually helping. They don’t want to emotionally engage with other people’s baggage, so whenever you try to share something or ask them about their struggles, they push away all the awkwardness with a bit of light banter. Wow, how does this person seem to have everything together, ALL THE TIME!? Oh wait, they don’t, nobody does, some are just better at hiding it than others. This is the friend we all long for and need. They ask you things like, “Hey, how’s your heart today?” and persist past your vague responses. They’re not judgmental but they encourage you to get serious about your sin, while reminding you that God’s grace is new every day. They’re not afraid to bare their sin before you. They talk about Jesus—a lot! And they consistently demonstrate that they’re into this fellowship thing and want to do life with you, alongside you—and they expect you to do the same for them. This piece was originally published on The Good Book. Used with permission. is a freelance entertainment writer living in Boston.